›Silver Gold Plated Bar Engravable Pave Cubic Zirconia Side Triangles Necklace, 16 in. Plus 2 in. 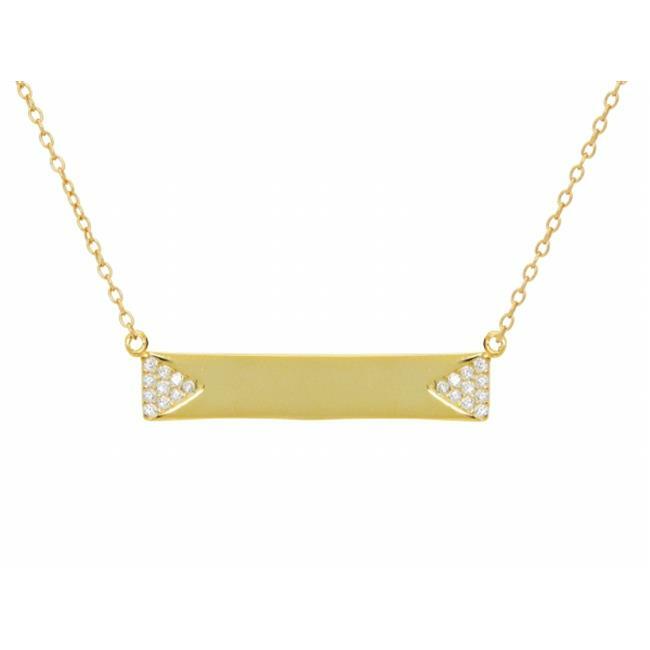 Silver Gold Plated Bar Engravable Pave Cubic Zirconia Side Triangles Necklace, 16 in. Plus 2 in.